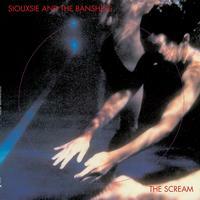 The Scream is the debut studio album by British alternative rock band Siouxsie and the Banshees. Recorded in one week and mixed in three during August 1978, it was released on November 13, 1978. Before the album's release, the band had developed a strong reputation as a live act, and had achieved a Top 10 U.K. single with "Hong Kong Garden" (which did not appear on the original album). Pressed on 180-gram vinyl.